GULF ACCESS HOME OFF SURFSIDE! 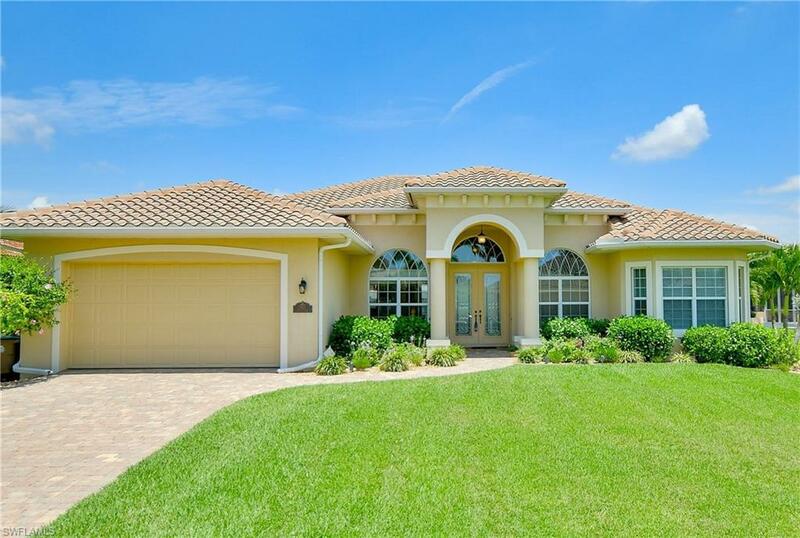 In this highly desirable area of the Cape, this light and bright, meticulously maintained residence is a rare find in a superb location with beautiful tile roofed, gulf access homes on each side of the street. Built with IMPACT GLASS WINDOWS! This open-concept home, loaded with custom finishes, features high volume ceilings and all the space you and your guests require with 4 bedrooms + a den, spacious covered lanai, oversized pool deck, and pool with spa. If total BRIGHT SUN is your choice, follow the brick pavered walkway to the expansive 20â x 30â AZEK dock. As you entertain, your guests can take in spectacular views up and down the wide Estrada Canal and gaze upon awesome sunrises and sunsets. A short and fun drive to area beaches, shopping and dining, this home spells QUALITY AND LIFESTYLE and represents good value with Utility ASSESSMENTS PAID! Donât want the hassle of furnishing â inquire with your Agent on existing, available furnishings.